Begin Calculating NetScore Today For Free! Implement Powerful Tools For Obtaining Your Nps Net Promoter Score. 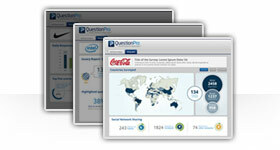 Start Today With A Free Account From QuestionPro! 3. Pick your preferred method of survey creation, whether choosing a template, importing a survey or starting from a blank template. The QuestionPro interface is fully optimized for mobile as well, so you can easily make and distribute surveys from your tablets or mobile devices. 1. A Blank Template: You can choose to start from a blank template, picking from a bank of over 30 different question types and logic options. 2. Importing: If there's survey questions that you want to use without having to type them in, you can use Microsoft Word and upload them. 3. Template Library: The QuestionPro template library has over 100 different ready made templates that cover a large variety of subjects. Check out the survey template library to obtain your net promoter score. This is the most obvious survey in which you'd want to include questions dealing with NPS. Customers are what keep any company in business, and knowing whether or not they would recommend your products or services to other can be crucial information to learn. The same type of questions can be applied not only to customers, but to employees as well. You can ask employees how well they'd recommend working for a particular company, and use that information to gauge employee satisfaction of the workplace. For companies that are releasing new products and services, a great way to include an NPS question is on a survey talking about a new product. Towards the end, you can ask about existing products and services and whether or not they would recommend them. You can even apply the NPS to a teacher in an academic environment. Asking how students would rate and recommend a particular teacher can help the school administration in identifying any potential issues that may not be easily seen. Step 3: From here, you can select the method you want to use to create your survey. You can choose a template from the template library, import questions you already have or just simply start from a blank template. How's the sign up process? Are you able to create an account in just seconds? Once you're in, how easy is it to start creating surveys? Is there a giant survey template library for you to choose ready made surveys from for editing and customization? Let's say you have some questions or maybe a complete survey to add to the editor. Do you have the ability to easily import it using Microsoft Word? What if you need to start from a blank template? What sort of options in terms of question types and personalization can you choose from? Is there over 30 question types for you to choose from? When you choose QuestionPro, you can have all of these features, plus more. Once your survey has been created, what kind of options for delivery do you have? Are you able to import a long list of email addresses into the interface, so you can create and manage custom email lists? How about generating a QR code that links directly to your survey? What about posting directly to your social media channels like Facebook and twitter? Or maybe you just need the directly link to distribute it anywhere. Do you have access to it? 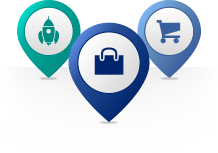 With QuestionPro, you can do all of these things and even more. When you've administered your survey, what are you able to do in terms of results? 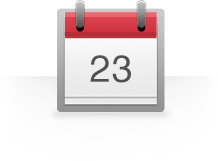 Can you see a real time summary of your results that include the number of people that dropped out, completed your survey and the time it took them to complete it? Are there any data visualization tools available to you such as the ability to create infographics and word clouds? How about performing trend and TURF analysis? Are you able to do that right from within the interface? 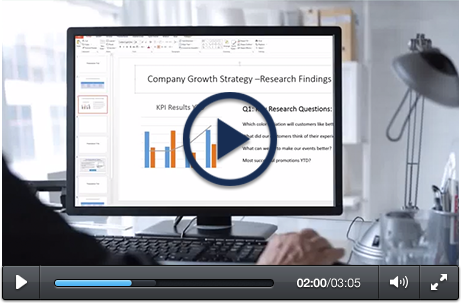 How about if you need to export your results to the cloud like Google Docs or Dropbox? 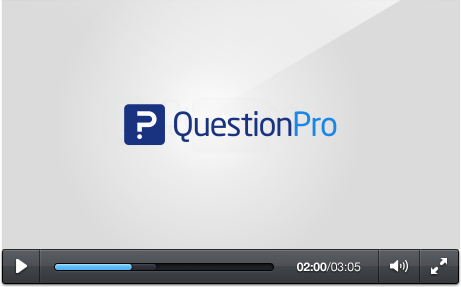 QuestionPro provides all of the above features and a lot more. When you create an account in QuestionPro, you have access to create an unlimited number of surveys. To begin, you can choose from three different methods of creation. You can start with a survey template from the library, upload your own survey questions directly into the editor, or you can start from a blank template. With whichever method you choose, you have the option of adding questions, selecting from a bank of over 30 different question types. 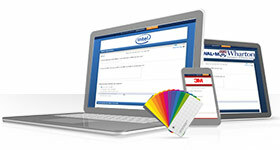 You also have direct access to the CSS of the website, so you can personalization virtually any aspect of your survey. When you're survey is all finished, you have a variety of methods for distribution it. Say you don't have any respondents and you need to purchase a sample of people. You can do so with QuestionPro, which offers the option of buying respondents that have specific demographics like age range and location. If you do know your respondents and have their email addresses for example, you can easily import them right into QuestionPro. With provided HTML, you can put your survey right into your website or blog. 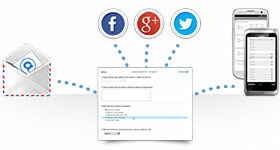 In addition, you can post to your social media channels like Facebook or Twitter from within QuestionPro. When your survey is distributed and you have results starting to come in, there are many things you can do with your responses. You can easily create custom infographics and word clouds with your data. In addition, you can create pivot tables and cross tabs, while performing TURF and trend analysis. If you need your data exported, you can download your raw results to a file, in addition to exporting your results to the cloud such as Google Docs or Dropbox. You can also schedule exports as well.